​Deer season is upon us. Many of us are habitually checking our trial cameras, spending hours watching deer from our stands, or scanning the woods through binoculars and spotting scopes. By viewing wildlife in this way, it’s possible to detect anomalies found on certain individuals. 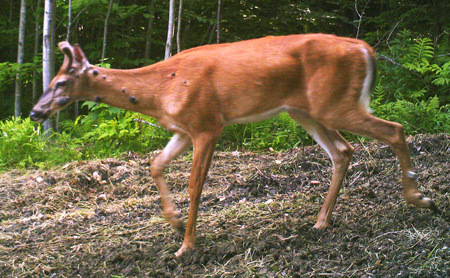 For this week’s podcast we are going to be discussing wart-like growths, called fibromas, on white-tailed deer. Our host, Dr. Rod Williams, will be talking with a regular on the show, Bob Cordes, about fibromas. Bob will discuss what causes the fibromas, how they impact infected animals, how they are transmitted, and what to do if you harvest a deer with fibromas.